Most people are used to the standard appearance of the average t-shirt with its simple lines and solid colors. However, there are numerous ways in which a plain t-shirt can become something spectacular and cool. Some of the cool t-shirt designs provided by Gotapparel.com include tie dye t-shirts, camo t-shirts, and two tone t-shirts. 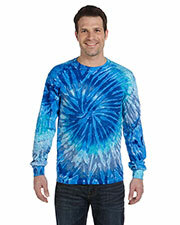 All of our way cool t-shirt options come in a variety of colors sure to appeal to your senses. Our cool t-shirts are available at discounted and wholesale prices for bulk orders that are the lowest in the industry. Cool and trendy t-shirts turn a plain Jane outfit into something a little more exciting. 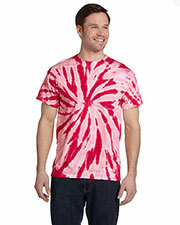 By using intense colors and unique designs, cool t-shirts can help you stand out from the rest. 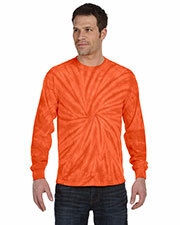 Cool t-shirts have so many versatile options, for example, tie dye shirts can have spirals, crystal patterns, paw prints, or tiger stripes. Camo shirts come in a variety of natural colors, as well as, exciting non-traditional colors, like pink or blue. Trends in fashions can come and go season to season and year to year, but the versatility of cool t-shirts allows them to stick around year after year. 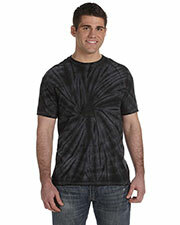 Find other trendy options to go with your t-shirts, including outerwear, headwear, and other accessories. I purchased a set of these shirts for my daughter's volleyball team. The girls loved that each shirt was unique. Even after so many washings, the tie-dye hasn't a faded and the shirt is still in good condition. I loved the fact that there were so many different size and color options. These shirts really make it easy for me to see where my kids are in crowded places. 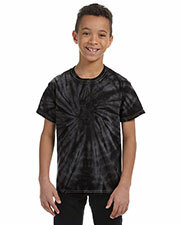 My grandkids really liked their tie-dyed t-shirts. I got each one a different color style, and they appreciated how they could each look special.